These ultra lightweight protectors are very suitable for eventing, crossing, jogging and racing and jumping. Equipped with a unique air cooling system. Delivered per pair (front legs). Size: cob. 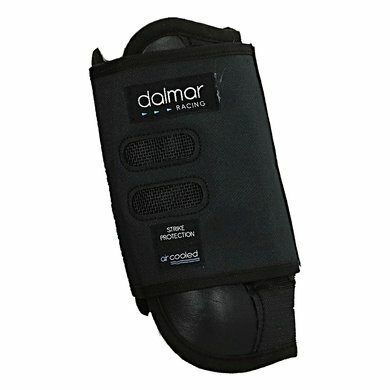 The Dalmar Racing leg protector is designed to provide optimum protection for the protector, is lightweight and comfortable to wear and also features a unique air cooling system that cools the legs during work so that the chance of heating the tendon is minimal. To provide optimum protection, carbon has been used in the protector. The main characteristics of carbon are that it is very strong, firm and yet lightweight. 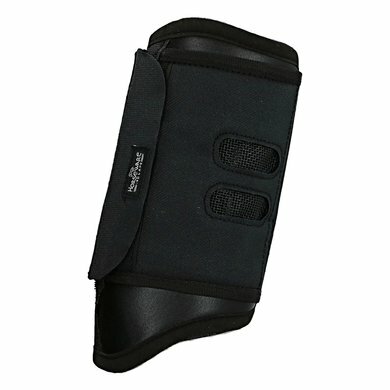 You close the protector quickly and easily with one large Velcro closure. These protectors can NOT be washed in the machine. 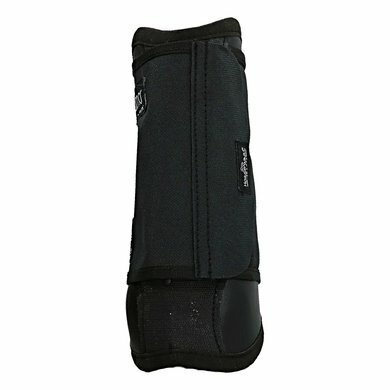 You can clean the leg protectors by rinsing them with water and then cleaning them with a soft brush or cloth. Hang the leg protectors to dry them. Close the Velcro fast after use and keep the Velcro strap clean and dry. 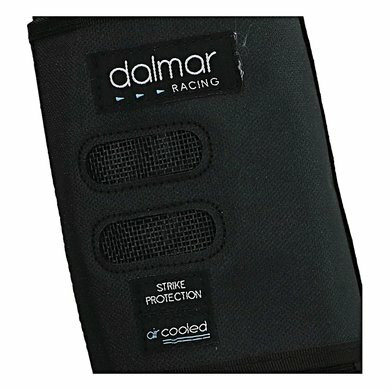 Very fine Dalmar protectors, which offers both very good protection, is very light in weight, has good ventilation and also has a nice fit. Very light protectors, with good ventilation possibilities. Tendons stay cool during work. Big disadvantage: protectors are mi very stiff, so horse within 2 days already had sanding place just below the knee. Unfortunately! Fit perfectly! Hope they like it in use. 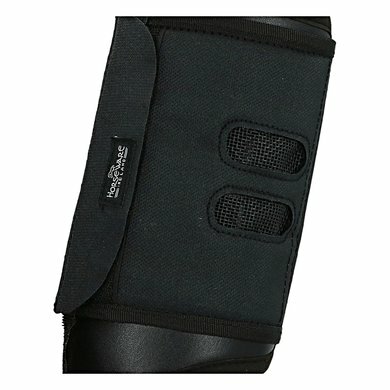 Question: Is this tendon protector preformed on the inside there again the superficial bending tendon (like the dalmar eventer) runs or the inside is just smooth.